Posted June 7, 2016 by Craig Carey & filed under Training, Weight Loss. The fact of the matter is that unless you have some sort of condition that stops you from running, you can and should be running. ‘Why should I be running?’ I hear you cry. Well there are many benefits of running including weight loss, better sleep, lower blood pressure and improved bone density. A study by the Stanford University Medical Center (U.S) also found that regular runners compared to non-runners had a lower mortality rate. So it appears running makes you live longer. No brainer. 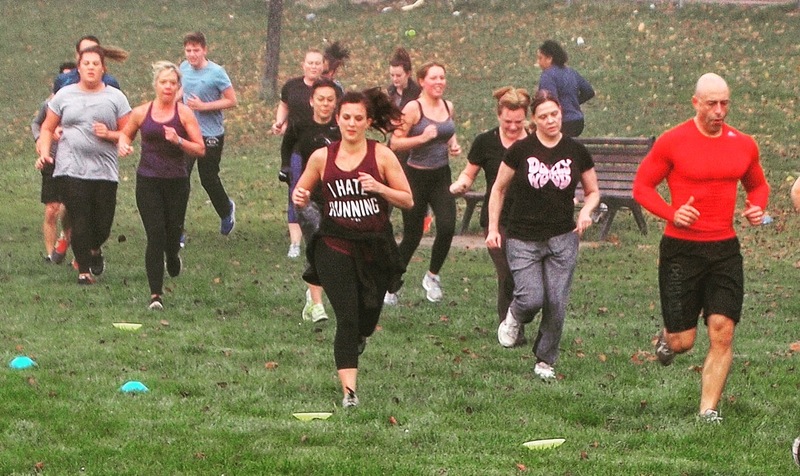 When tackling the issue of being a ‘non-runner’, you must first address why you don’t run. It’s likely that you will fit into one of the following categories. You feel you are not physically able to run. You feel that people will look at you and judge you when you run. It hurts when you run. You can run but you are so slow that it makes you feel crap. If you fall outside one of these categories then you are a special case and you should contact us via our appropriately named ‘contact us’ page. First lets tackle those of you who feel physically unable to run. Unless you can get a doctor to confirm that you are unfit to run, then you can run. That was easy. Next let’s address those of you who are conscious of other people looking at you when you run. This is very common, especially if you feel that your shape or size is not that of a ‘runner’. A ‘runner’ is someone who runs. So if you start running, then whatever shape and size you are fall under the title of ‘physique of a runner’. Anyway, allowing the thoughts and opinions of others to restrict you from doing something you know to be right and beneficial to yourself is highly irrational. Unless you are harming people in some way then do not worry about what other people think. Some free counselling there. Next, it hurts when you run. Ok. Understandable. No one likes pain. Well some people do but that’s another article. So again, unless Doc says don’t do it then I think the key word here is perseverance. Chances are, if you keep running, without overdoing it, it will start to hurt less. Also, if it hurts because you are overweight, then running to lose the weight will solve that problem. Right, now to the demotivated slow runners. Ok so you’re a bit slow at the moment. So what? Stop worrying about what level of running other people are at and start focusing on yourself. Whatever level you are at, aim to improve from there. As you start to improve your time through regular running, you will start to feel great instead of crap. Lastly. You are lazy. In reality, you probably aren’t that lazy. The laziness is likely confined to the exercise part of your brain. Maybe set yourself some very basic running goals to help to get over your running laziness. Such goals could be; run/walk 1k, run up and down your garden, or run on the spot. Hopefully just getting moving in a running way will help you overcome your lack of enthusiasm to run and you’ll be busting out 10ks for fun in no time. So a quick summery for those who are currently ignoring the running friend request. Forget what other people are doing. This is your thing not their’s. Run as regularly as you can. Don’t push too far too soon. If you try these and are still struggling then give us a call. We have many cures for the phobia of running.